A timeline of some of the consequential events that shaped the area that is now Deadwood, South Dakota. 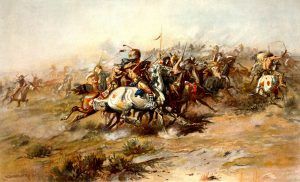 1740-1760 – The Lakota-Sioux appear in the Black Hills region. 1743 – French explorers, the Verendrye brothers, claim the area for France in the name of Louis XV. 1803 – The Louisiana Purchase adds to the United States territory from the Gulf of Mexico to the Northwest. The price for the purchase was $15,000,000. 1868 – November 6 – Lakota and white leaders sign the Fort Laramie Treaty, requiring the U.S. government to protect Lakota lands from white intruders. 1874 – July 30 – Gold discovered in the Black Hills on French Creek near the present city of Custer by Ross and McKay, two miners attached to General Custer’s Military Expedition. August – Upon hearing the news, the government attempts to buy back the land from the Sioux Nation, but their offer is refused because the Black Hills, referred to by the Sioux as Paha Sapa, is considered holy land. December – Though the U.S. Army makes feeble attempts to stop the influx of gold seekers, by the end of the year the Black Hills is teaming with more than 15,000 prospectors. 1875 – John B. Pearson discovers gold in Deadwood Creek and as word spreads quickly a mining camp is established. Later in the year a U.S. Government commission is sent to meet with Red Cloud and other Lakota chiefs to negotiate legal access for the miners. Though the government offers $6 million for the use of the region, the offer is refused. 1876 – U.S. Congress repeals the 1868 Fort Laramie Treaty and takes the Black Hills, along with 40 million more acres of Lakota land. The first stagecoach arrives in Deadwood and the town begins to be platted. January 31- The deadline passes on a U.S. government-issued ultimatum that all Indians not on the Great Sioux Reservation will be considered hostile. Many Sioux, scattered during the harsh winter, do not hear of the ultimatum until after the deadline. Sitting Bull and Crazy Horse are among those who outright refuse. Spring – Sitting Bull organizes the greatest gathering of Indians on the Northern Plains. April 9 – Brothers, Moses and Fred Manuel, and Hank Harney, discovered an out-cropping of ore in what is now the Homestake Open Cut. 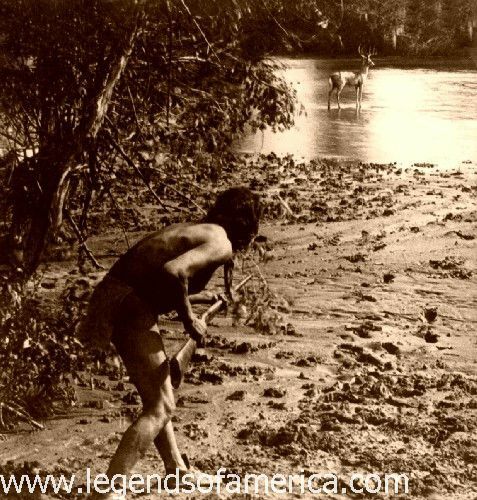 A new mining camp called Lead City was born almost overnight. June 25, 1876: Crazy Horse and his warriors defeat Custer at the Battle of Little Bighorn, killing the general and 210 of the soldiers in his 7th Cavalry. July – Colorado Charlie Utter’s wagon train brings in Wild Bill Hickok and Calamity Jane, as well as Deadwood’s first prostitutes including Madam Dirty Em and Madam Mustachio, all of whom are are cheered by miners in the street. July – Jack Langrishe’s Theatre Troupe arrive in Deadwood and first performed at the Bella Union until they could build their own building later in the year. June – The Grand Central Hotel, owned by Charles H. Wagner, was the first hotel to open in Deadwood. Known for its great food prepared by its cook Lucretia “Aunt Lou” Marchbanks, a former slave, miners would buy the typical fare of flapjacks, bacon, beans for $1. According to the people of the time, Aunt Lou’s sunny temper and outstanding biscuits set the standard for the culinary efforts of the entire city. 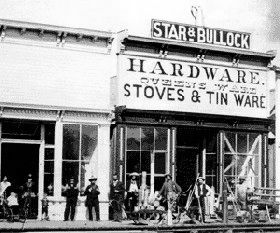 August 1 – Seth Bullock and his business partner, Sol Star, arrive in Deadwood to set up a hardware business. August 12 – Smallpox breaks out in the Deadwood Camp. Seven days later a “pest house” is established for those who are afflicted. August 19 – Seth Bullock is elected as commissioner and fire warden of the camp. August 20 – Preacher Henry W. Smith is murdered on route to Crook City where he had planned to give a sermon. Allegedly killed by Indians, he is buried in Mt. Moriah Cemetery. September 10 – The Bella Union, owned by Tom Miller, opens as the grandest place in Deadwood. September 11 – Deadwood elects E.B. Farnum, real estate and mining entrepreneur, as its first mayor, voting to incorporate as a town in the same election. October 1876: The Manypenny Commission demands the Sioux give up the Black Hills or starve. 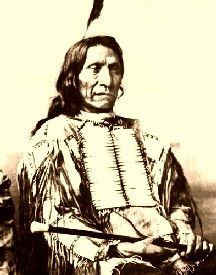 Given no choice, Red Cloud, Spotted Tail, and other reservation chiefs sign over their holy lands, Paha Sapa. October – Sol Star becomes a Deadwood City Councilman.